I grew up spending an enormous amount of time playing music (and secretly examining the innards of our family piano). A trip to a piano sales and restoration facility on Long Island planted a seed early on in me. While visiting there, I was fascinated by the many different pianos and methods of restoration. While in college, I got a job at the very same piano facility that I remembered from my youth. I started at the very bottom and absorbed as much as I possibly could. Even early on I was beginning to formulate my own approach to my own business model. I spent many years working for retail establishments tuning and repairing pianos and many years pulling old pianos out of garbage bins to rebuild them. I learned the trade and I realized many things about myself, and the valued people I serve. So, what are my observations today? First and foremost: the piano field is weakening because of a general lack of stamina in effective music education. This includes teacher-student bonds that must be nurtured and supported as much as possible. We all play a part in this as well as the piano tuner! Yes, the piano tuner has an opportunity here. I always want to know what is happening musically with the piano. Who is taking lessons? How is it going? If you or your child stopped, why is that? Sometimes it is a simple answer. Oftentimes it is a frustrating subject. I try and get a dialogue going. Dialogues vent frustration yet I have answers that may help you! Most people have no idea what is going on inside of their piano. It’s similar to the very limited knowledge people have of the inner workings of their cars. Here is our approach: Instead of handing the customer a whole list of parts and procedures for repair or refinishing, we simply state EXACTLY how the piano will perform and look after any work is started. Sure, the customer is entitled to a detailed estimate, and we do give it, but without any pressure our customers usually choose our approach because we tell them the results before we start work. Call it a business model, call it love or pride, but it is a philosophy that I continue to happily uphold. We all have different pianos, music situations, and budgets. 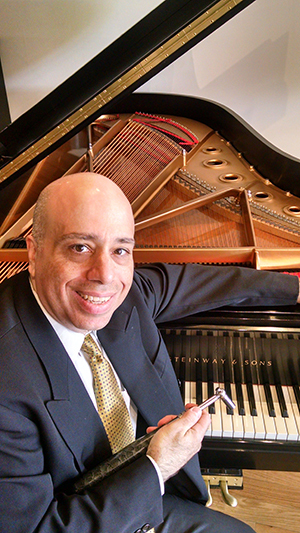 That’s where Gennaro Piano comes in: It’s really more than just the mechanical device. Pianos have, and always will have a story attached to them. Call us and tell us your story!